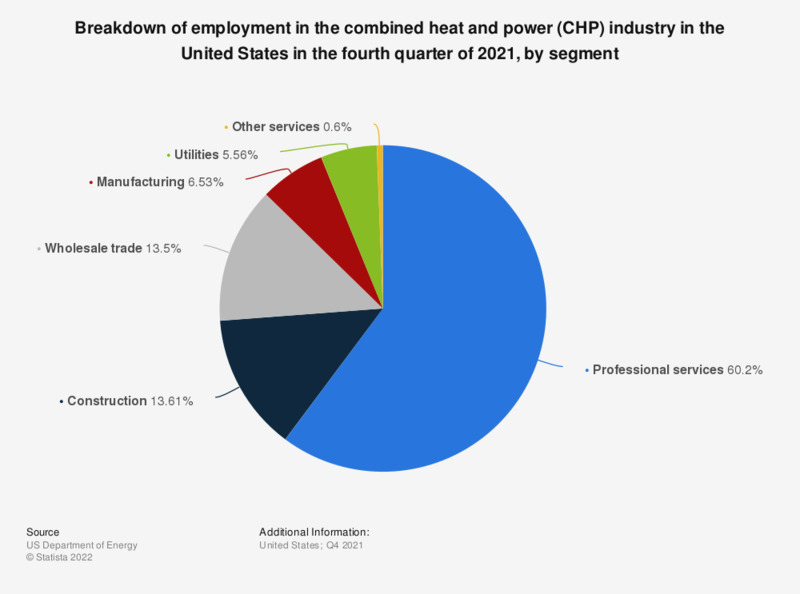 This statistic represents a breakdown of employees within the combined heat and power (CHP) generation industry in the United States in 2018, broken down by segment. In this year, the share of of employees in the CHP construction segment stood at 14.5 percent. Fuel mix: East North Central U.S.